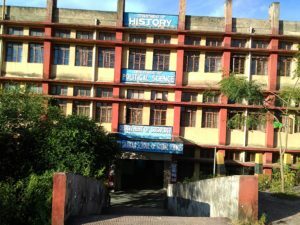 The Department of History is one of the first departments of Assam University which started in 1994. The department imparts quality education to the Post-Graduate students in different branches of history and conducts researches for M.Phil. and Ph. D. With the establishment of the Centre for Archaeological Research the department has become a centre for the research on history, culture and archaeology of North East India. Although located in southern Assam, ongoing researches in the department cover a wide range of subjects covering the entire country. Many former students of the department are serving as faculty members in University, colleges and other academic and research institutions.